Any Graduate students in Education who need to go through the ethics review process? Sign up for this workshop! January 22nd, 2014 by elena | Comments Off on Any Graduate students in Education who need to go through the ethics review process? Sign up for this workshop! Posted in ethics, research, workshop, Workshops | Comments Off on Any Graduate students in Education who need to go through the ethics review process? Sign up for this workshop! The last FIREtalk of the term is this Thursday, March 21st from 2-4 pm. The topic is about Ethics and Dissemination. 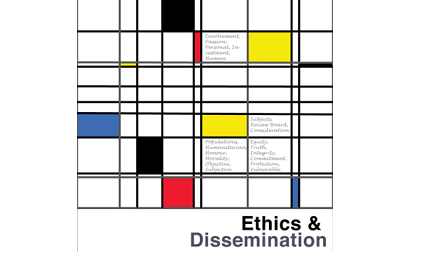 It ranges from ethics ‘in academic research, practice and dissemination’, ‘how academics and grad students disseminate their work’, ‘academic knowledge translation to the broader public’ to ‘the benefits, hazards and risks of disseminating controversial work’ and more. Deadline for FIREtalk submission is today, March 18th. Fill out the FIREtalk submission form at: http://koerner.library.ubc.ca/services/research-commons/fire-talks/proposal-submission-form/. Note: Presenters will be entered to win a $50 gift certificate to Indigo.ca. Light snacks will be provided. Under the Library Events collection in cIRcle – UBC’s Digital Repository, you can find past Open UBC (Open Access Week) slides, webcasts and more relating to “open access”. Visit this collection at: https://circle.ubc.ca/handle/2429/2689 and type “open access” into the Search box then click “Go”. Last fall UBC Library – in partnership with the Faculty of Graduate Studies and the Centre for Teaching, Learning and Technology – initiated FIRE Talks: Facilitated Interdisciplinary Research Exchange. FIRE Talks are intended to provide graduate students with an opportunity to present their research to an audience of their peers and then engage in an interdisciplinary discussion related to a central theme. Students benefit from this in any number of ways, including: learning to present the salient details of their research in five minutes; finding opportunities to meet and potentially collaborate with other grad students in diverse disciplines; and thinking about their own research from new perspectives. Proposals are being accepted for all three of these talks. The deadline for Applied Academia is coming up on the 20th of February. If you have any classes or students who you think may be interested, or who may want to practice for the 3 minute thesis or their dissertation defense, please forward this invitation to them. Presentations can be parts of a dissertation, a research paper, or even questions and ideas students wish to explore. The aim is to inspire interdisciplinary discussion among a broad group of graduate students and provide a venue for connection and discussion. Students can also attend the talks as part of the audience, which also allows them to engage in the discussion portion of the event. Registration links are provided on the individual FIRE Talk webpages, accessed through the first link above.